When shopping in thrift stores, I am always on the lookout for certain items on my personal wish list. Many times I leave empty-handed as these items tend to be harder to find and that is why they remain on my list. It is the search for these and other welcomed surprises that make thrifting so much fun. 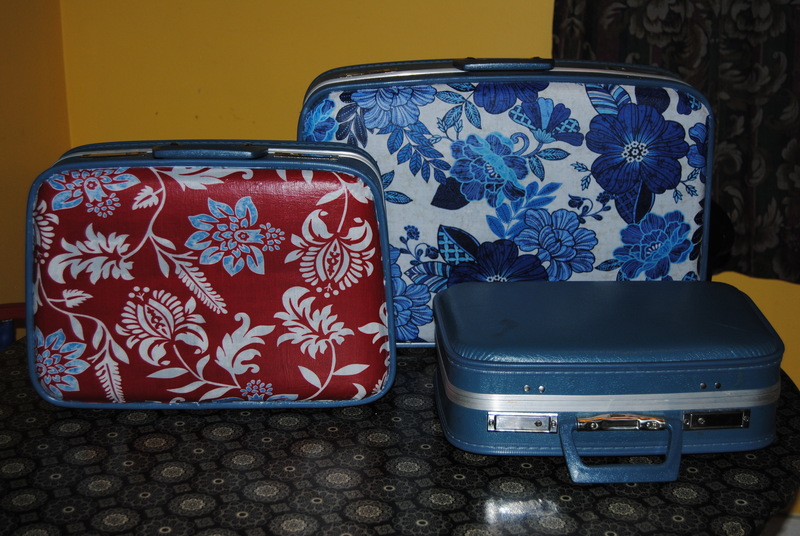 Every now and again I get lucky, and it was truly my lucky day when I stumbled upon three lovely hard case, blue vintage suitcases reasonably priced at Goodwill. I was also delighted to find the interiors of this cases in excellent condition. 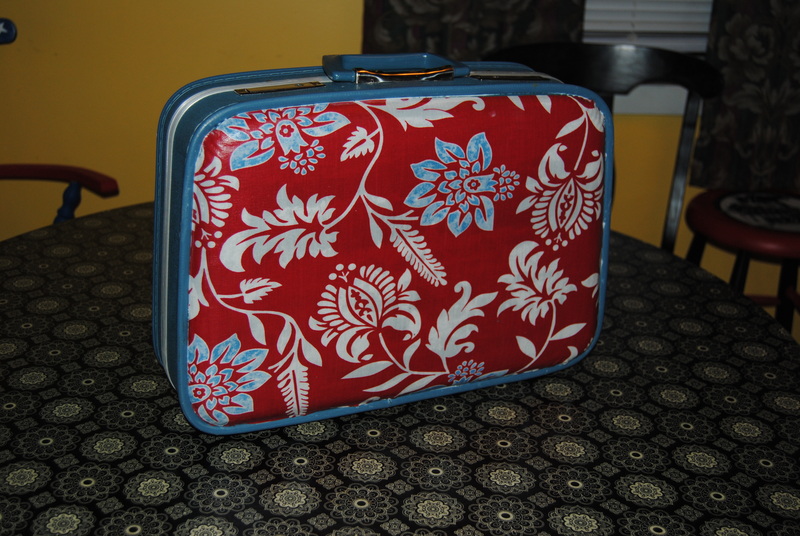 For the larger case, I chose a blue and white fabric from Joann Fabrics, and decoupaged it onto the suitcase surface for my first ever restyled suitcase. I wanted to make each suitcase unique, so I patiently waited for ideas to come along for cases two and three. I was walking around Goodwill by my work the other day and stumbled upon a lovely pillow sham. It was priced right at $1.99. Usually when it comes to linens and fabrics at Goodwill, it is hit or miss. This was a lovely pattern of white , red, and a touch of blue. Whenever I see blue I think of those suitcases and thought this would be a perfect fit for one of them. The question was if I would have enough fabric to complete the project. 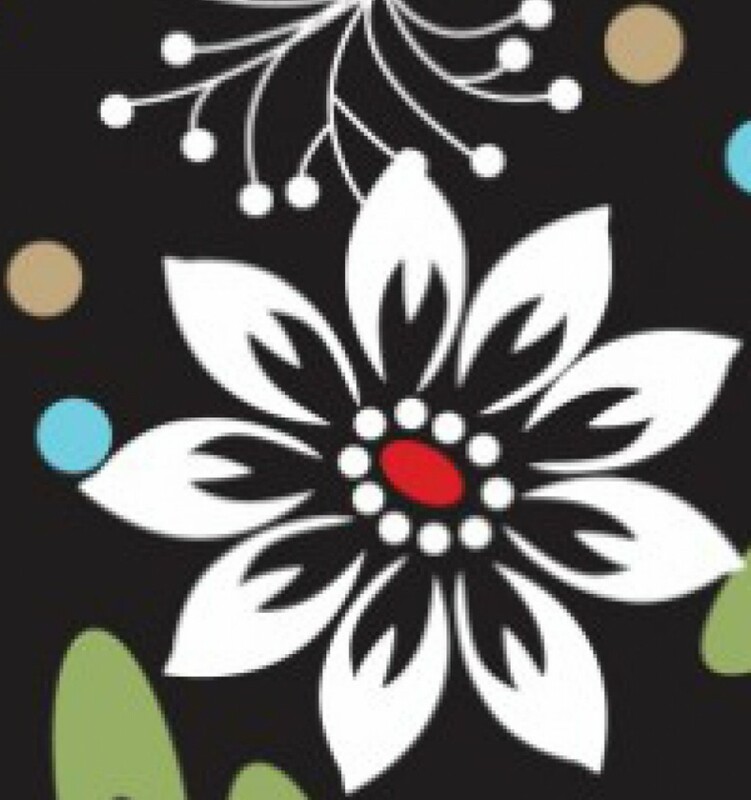 Unfortunately they only had one pillow sham in this pattern for sale. It turns out when I got it home, I had just the right amount of fabric to restyle the second largest case, and I was thrilled! 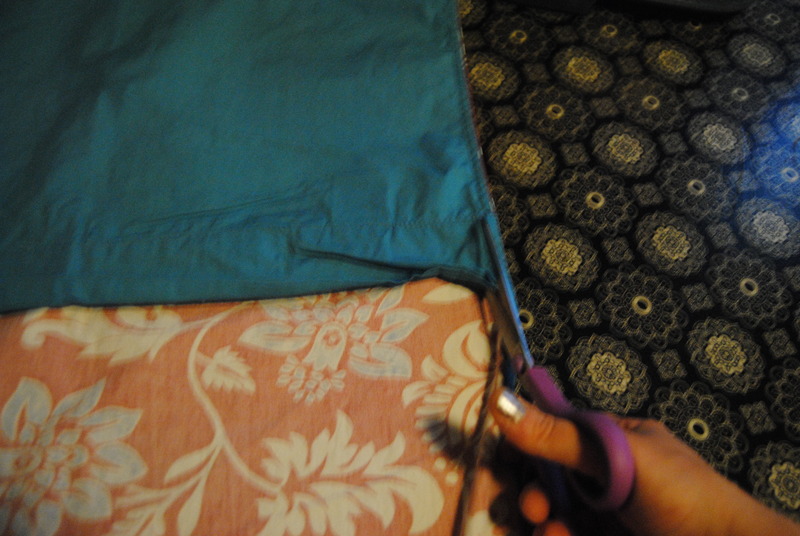 First, I cut the decorative fabric away from the plain blue fabric on the pillow cases underside. I placed the suitcase on the top of the fabric to get an idea of how much fabric I would need for both sides. It was easiest to cut it in half. I allow the fabric to hang over slightly, as I planned on trimming away the excess fabric later. 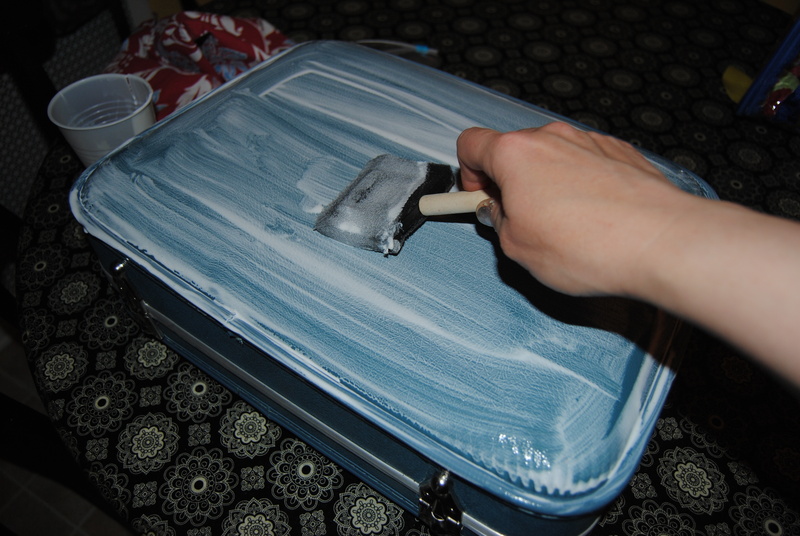 I applied Mod Podge generously with a foam craft brush to the suitcase surface. 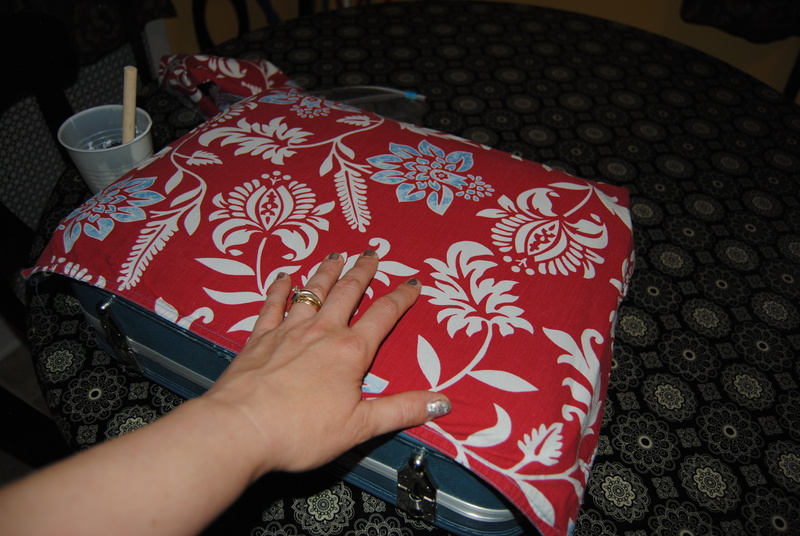 I then carefully laid the fabric over it, repeating the same process twice for both sides of the suitcase. Once dry, I applied Mod Podge generously over it to seal the fabric. I also generously applied Mod Podge to the edges where I planned on trimming the excess fabric. 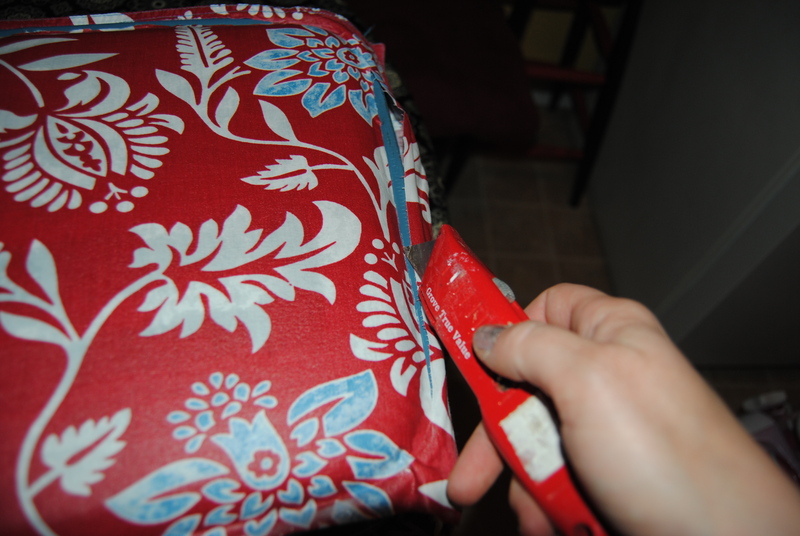 Once dry, the fabric stiffens and I carefully used a box cutter knife to trim the extra fabric using the suitcase crevice/seam as a guide. 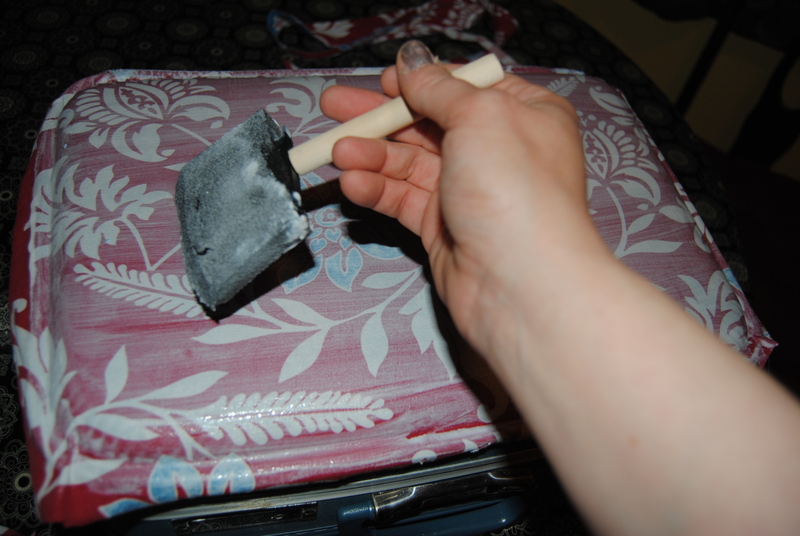 Keep in mind to use just enough pressure as too much can damage the suitcase. 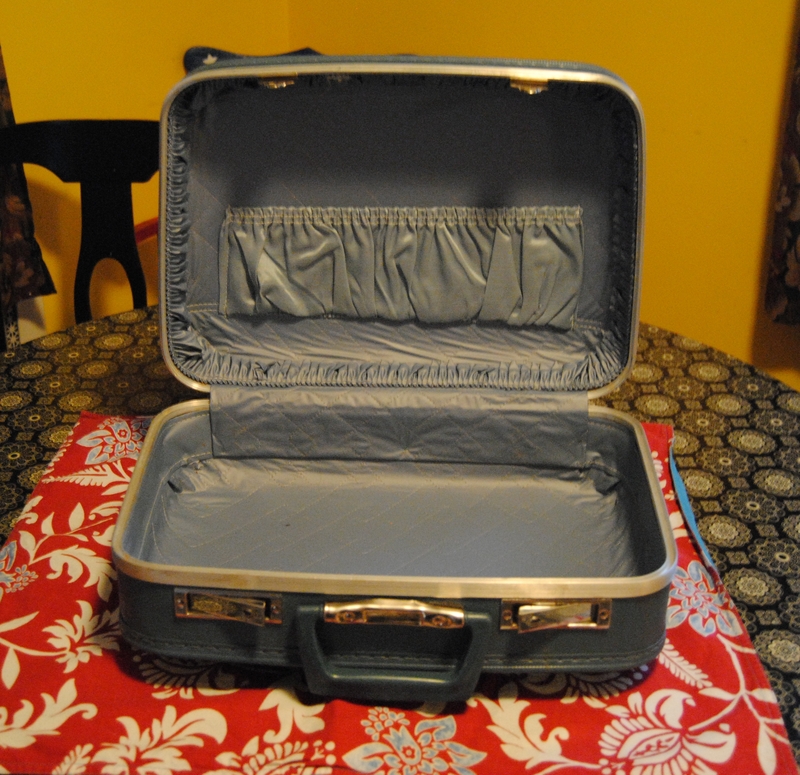 I applied two more layers of Mod Podge to each side of the suitcase. Working the glue once again in around the suit case edges. I loved how this little suitcase turned out! Stay tuned for suitcase number three coming soon! Thank you! Whenever I see these suitcases in the thrift stores, they end up in my cart! I can’t help myself! I have a few myself! I really want a train case!! These look absolutely awesome. Well done. I love this idea. Thank you! It is fun and fairly easy to do. Thanks for stopping by! I am also a vintage suitcase fan. I turned a 1940’s suitcase into a table, and have the same set of 3 suitcases in blue. I also have a green one in the same style. I just can’t get enough of them! Love what you did with yours! Thanks! I love them too and they are great to store keepsakes in. I will have to look for your table! Sounds awesome! The suitcases look great. I threw out a suitcase that looked about like the one in the photo several years ago. Now I wish that I still had it. Oh my word! You are a genius! What a fantastic idea, absolutely fantastic. Those suite cases are the sort of things that are shoved under the bed stuffed with “things” that you really don’t want. Or, those cases are given to a charity shop, now with your idea every one will be wanting one to up cycle just like you… CLEVER GIRL! Thanks for stopping by and for all your kind words! I just love these suitcases and am always on the lookout for them at yard sales and thrift stores so many possibilities!